World Vision estimates that 6 kilometers is the average distance people in the developing world walk for water—water often contaminated with life-threatening diseases. And because the only water source for those people is polluted, nearly 1,000 children under the age of 5 die every day from either drinking it or cooking with it. It is a statistic the people at World Vision cannot tolerate. Leadership and staff at the humanitarian organization believe the lack of clean water and proper sanitation throughout the globe can be solved in this generation. It's why the organization is committed to providing clean water and sanitation to one person every 20 seconds by 2020. 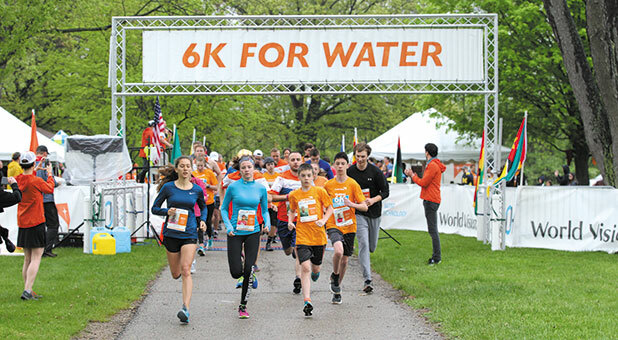 And it's why World Vision has initiated events such as the annual Global 6K for Water. Team World Vision National Director Rusty Funk organized willing members of his team five years ago to join him in running the Chicago Marathon. Funk wanted to help raise money for clean water projects globally, one of World Vision's main initiatives. Funk pondered how he could get the public involved, which prompted the idea of the Global 6K for Water. In 2014, the initial event drew approximately 1,400 participants. In four years, the number has grown to three and a half times that size. "It really has become a movement," said Team World Vision Director Ashley Colquitt. "It is a collection of people around the world walking and running 6K on the same day for the same cause, which is clean water. When you walk or run the 6K, your registration fee of $50 provides life-changing clean water to one person for life. Our motto has become, 'Every step you take is one they don't have to.'" In 2019, more than 48,000 people in 30 countries participated in the Global 6K for Water. Colquitt says the youngest participant was 1 year old, while the oldest was 89. People from Kenya, a country where World Vision has many deep-well projects, participated this past year. In many communities throughout the developing world, clean water lies hundreds of feet below layers of hard rock. The money collected from the Global 6K goes to digging deep wells, which can provide up to 2,800 gallons of clean water a day and can benefit as many as 300 people. According to World Vision's website, a deep well can cut a community's child death rate by as much as half. The organization hopes to educate the public on how much an impact walking 6 kilometers can have. When individuals choose to participate in the Global 6K, the results have a ripple effect. Extreme poverty. Providing access to consistent sources of clean water is crucial to poverty reduction. Safe drinking water increases the percentage of a community's population who can attend school and remain gainfully employed. Water-related diseases, World Vision says, are a constant threat to health and keep people out of the work force and in poverty. Education. With no clean water, many children are too sick from water-related diseases to attend school. World Vision estimates 227 million school days are lost each year from water-related illness. Human trafficking. In developing countries, girls and women are primarily responsible for retrieving water. They must walk far from home and put themselves in dangerous situations where they risk assault, abduction and sale into human trafficking. Providing clean water to their villages allows women to cease their daily treks through isolated and dangerous places and thus protects them from becoming the next "missing ones" from their communities. A portion of the money raised from the Global 6K goes to educate people in developing countries about sanitation and hygiene, something Colquitt says is sorely lacking in many areas where World Vision's clean water projects are initiated. Many churches and some schools in the U.S. have joined World Vision in its quest to provide communities with clean water. Some churches, Colquitt says, use the annual Global 6K as an outreach event. Lake Center Christian School in Hartville, Ohio, has embraced the initiative. Forty students from the school braved snowy conditions in May to participate in the event. Additionally, since service to Christ is one of the school's core values, educators searched for unique ways to meet needs in their immediate area as well as the global community. Fifth-graders at Lake Center embraced World Vision's 6K for Water as their service-learning component for 2019. Students created soap, hand sanitizer and bracelets to raise money for their entry fees and to donate to clean water efforts. The project spread to the third-grade class, which took on World Vision's Matthew 25 Challenge—a weeklong effort to help them "step out of their comfort zone and engage in God's love for 'the least of these brothers and sisters.'" Matthew 25:35-36 encourages believers to act on their faith by providing for those in need: "'For I was hungry and you gave Me food, I was thirsty and you gave Me drink, I was a stranger and you took Me in. I was naked and you clothed Me, I was sick and you visited Me, I was in prison and you came to Me.'" After signing up, students received one email a day over the span of a week with a daily challenge, impactful stories and ways to pray and talk about Matthew 25 with their families. Dannon Stock, who led Lake Center's running club at the time and is now the elementary school principal, embraced the challenge. Since many of the more than 600 students come from upper middle-class families, Stock says the Matthew 25 challenge was an eye opener as the students learned about the poverty many their age face. "It was a great opportunity for our school to get our kids involved in something outside of themselves, to see the bigger picture of what's going on in the world and to actively participate in it," Stock said. "It's an opportunity for kids to get involved in just really understanding the concept of global poverty. Being uncomfortable is a good thing for our kids to feel too." Each Lake Center participant in the Matthew 25 Challenge received a lanyard with a picture of a child from a developing country. Stock said many of her students took a personal interest in the child on their lanyard. At the completion of the challenge, students and their families were given an opportunity to sponsor that child through World Vision. "They really took ownership of the children who were on their lanyards. They wore the lanyards around all day, and then they had the one that they took home at night, so they could pray," Stock said. "I think if we are going to educate and send out Christian leaders, it's important for us to instill—at an early age—a vision for what it looks like for them to go to all parts of the world." The school has already made plans to participate in the Matthew 25 Challenge and the Global 6K for Water in 2019, when it will expand the challenge to students from first through third grades. In 2019, World Vision raised more than $2.4 million through the Global 6K for Water. In 2019, Colquitt says, the organization expects more than 60,000 participants for the May 4 event, pushing the fundraising total to more than $3 million. The clean water initiative—including the Global 6K—is an opportunity to reveal to people in developing countries the benevolent heart of Jesus, an idea foreign to many of them. "Our Christian faith is central to who we are," Colquitt said. "We follow Jesus' example alongside the poor and oppressed. 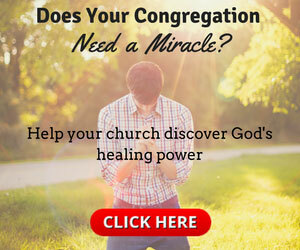 We try to show the transformation of lives and hearts Jesus has to offer. We humbly believe that World Vision serves as a beacon of light of God's love, and we hope to touch the lives of children and families in need all over the world."